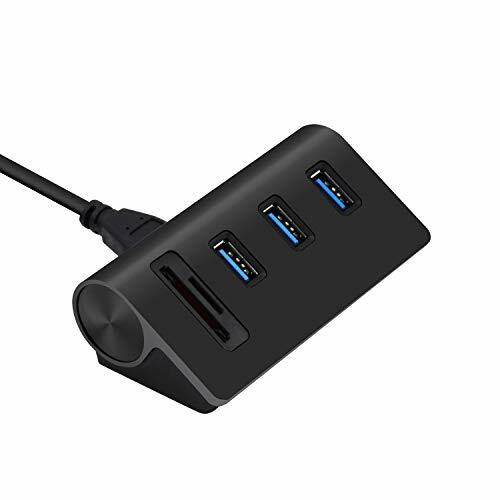 The Cateck USB 3.0 aluminum hub with card reader is designed especially for laptops, tablets, and ultrabooks and expands one USB 3.0 high-speed port into three easily. It is not recommended to use this USB hub for too many peripheral devices with high energy consumption. Two external 2.5 "hard drives without any additional power supply to bring the USB port of the PC is already at its limit.